A well-attended and positive club Annual General Meeting held in the Central Hotel Donegal Town, two weeks ago, reviewed a very successful and remarkable 2011 year of competition, coaching, and administration. Outgoing Secretary, Michelle Harvey, in a detailed report highlighted the numerous successes of the season. National Long and Triple Jump champion, Mary Mc Loone, continues to lead the senior end of the club. Her victories and performances at Irish Indoor and Outdoor championships and when representing Ireland in the Europa Cup received special mention. 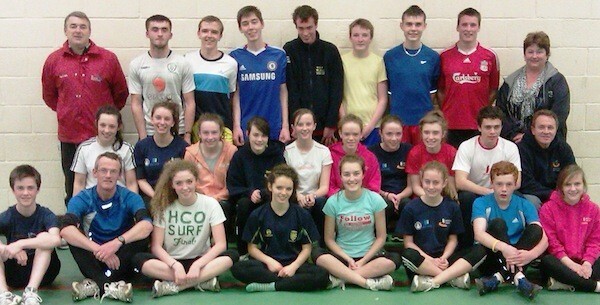 The clubs under age group also made their own piece of history when Karl Griffin – he smashed numerous National underage records and medalled in the U18 European Youth Olympics in Turkey in August; Kate McGowan, smashed a 12 year old IrishU15 Hurdles record at the National championships and was a winner at the Celtic International when she defeated the best Under 16 athletes from Scotland, Wales and Ireland. Karl and Kate’s performances led the juvenile section to an unprecedented thirty two medal haul of medals at various Irish championships in events as diverse as Pole Vault, Shot Putt, Hammer, Long Jump, Sprints, Hurdles, 800/1,500m and Cross country. The importance of club/school link was also highlighted and the record breaking performances of the Abbey Voc. School winning junior girls team in Tullamore last June detailed. The masters and fit4life sections of the club continue to grow and expand thanks to the professional development work of Paddy Donoghue, in the Ballyshannon/Bundoran area and of Kevin Mc Glynn and Richard McCarthy in Donegal Town. The numbers of club athletes competing in local and National cross country, road races and distance races is most encouraging. All coaches within the club were thanked for their huge contribution during the year. 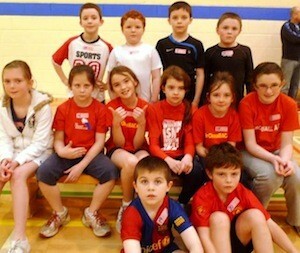 Internally Tir Chonaill hosted and was associated with a number of very successful competitions. On the track two meetings in early 2011 attracted huge numbers to Donegal Town. The Tir Chonaill open invitational attracted over 400 competitors from all over Ireland and for the first time in the county we viewed outstanding Pole Vault, [Men] and Hammer, [Women] competitions when National champions graced the meet and recorded close to 5metres/ 50metres. Outstanding competition, electronic timing, a huge supporting crowd and all day sunshine made this event one to remember. Successful and well organised road races in Ballyshannon and Donegal Town –both part of the Donegal League, and the Cara Bundoran 10 mile Challenge in early March attracted large fields. The later, attracted over 500 runners/walkers to Bundoran and planning is at an advanced stage for an even bigger and better event in 2012. Keep Saturday 10th March free and why not make a new year’s resolution and aim to either run or walk this family friendly event – click into www.carabundoranrun.com.Club Easter and Summer camps attracted over 250 children, primary schools relays 400, sportshall competitions over 500, club presentation evening on the Donegal Bay water bus 150, were also highlighted. Outgoing Treasurer, Marie Rooney, reported that the club was in a very healthy financial situation. She thanked all for supporting various fund raising initiatives and had a special word for the main club sponsor Cara Pharmacies. Eamon Harvey, Track Development subcommittee, reported that clubs new facility at the Abbey Voc. School was used extensively throughout the year by walkers/joggers/track and field athletes. He indicated that the final payment had been made to the contractor and that the debt on the €485,000 facility had now been reduced to €30,000. He also thanked the numerous club members and the community for their continued fundraising support. The goal is to have the debt cleared in 2012. Chairman Paul O’Gara thanked the various club officers for their very important input during the year. Most of this work is done behind the scenes and is vital for the successful and on-going development of the club. He thanked Michelle Harvey, who was standing down as Secretary following a two years stint in the position. The commitment and support of club coaches, athletes, parents and the general public were also acknowledged. The financial support received from the community, sponsors and Cara Pharmacies was also highlighted. The local media and Ollie Thomas who does such a good job with www.tirchonaillac.com and the clubs Facebook page were also praised. ‘We are a large club catering for over 300 members – we have much strength as has been highlighted in the various reports. My wish for the coming year is that we continue to work as a close and supportive unit’. Nearly six hundred runners/walkers completed the inaugural Cara Bundoran 10 Mile Challenge in 2011. The local organising committee led by Canice Nicholas and Paddy Donoghue have decided that the race should be even more successful in 2012 and have put a lot of behind the scenes work ensuring that Saturday 10th March 2012 will be a day to remember for all who complete the challenge. You are invited to make a new year’s resolution, enter the race now, and on the day either walk, jog or run the event.